I'm a big fan of cool signage... vintage neon, modern stuff, auto related or not. 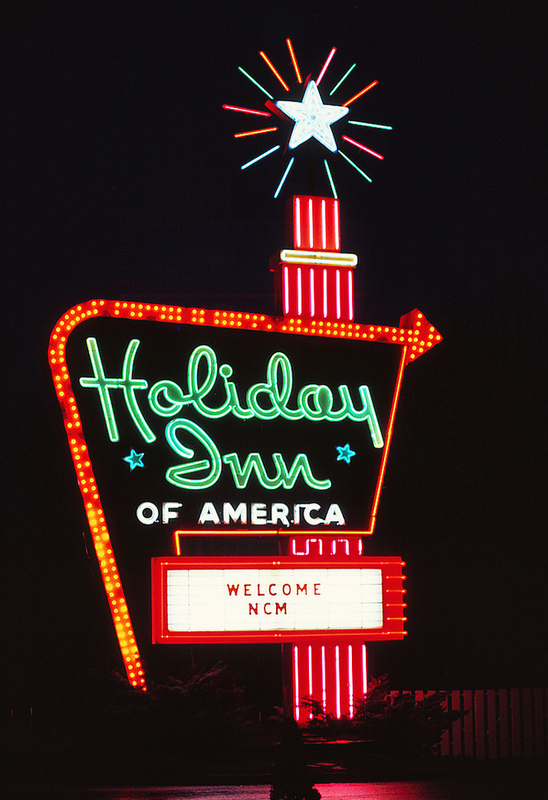 Just saw this pic of The Great Sign, the world-famous (and now long gone) Holiday Inn roadside motel sign. These were huge, neon beacons calling out to road-trippers traversing the new Eisenhower Interstate system in the 1950s and 1960s. I always liked 'em.